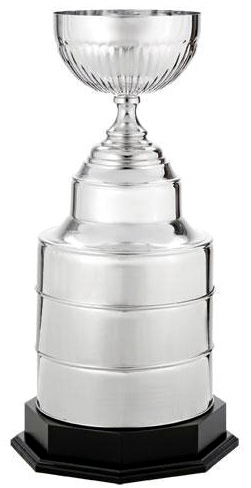 Stanley Cup Style Trophy Cup(Medium) 19 inches in Height.Made from plated steel. We had a large amount of these trophy's for AwardsZone to do. All different names and dates. They were so quick and so easy and friendly to work with! Highly recommend. The final products were incredible! 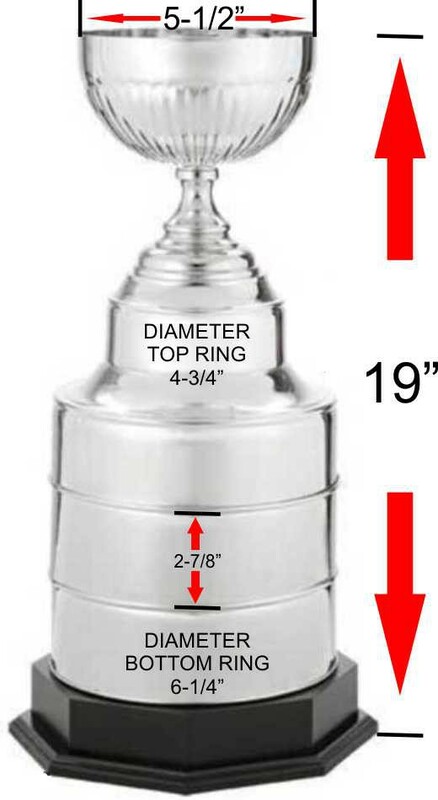 We ordered a Small and Medium Stanley Cup Replica. These awards turned out AMAZING!! I couldn’t have asked for anything better. I had a lot of questions and Teresa Walsh, on the online chat, was extremely helpful throughout the whole process! I definitely recommend these awards and this company! 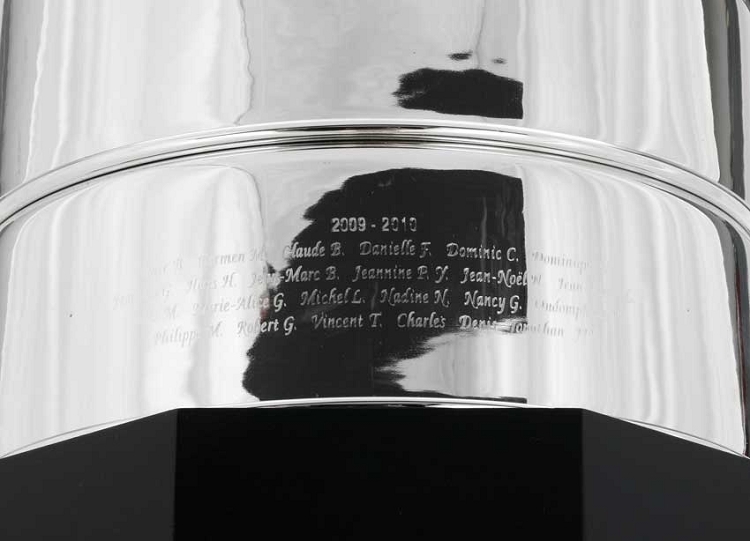 The award is beautiful and stately. My employee loved it and now others want to make sure they are MVP so they get it next!